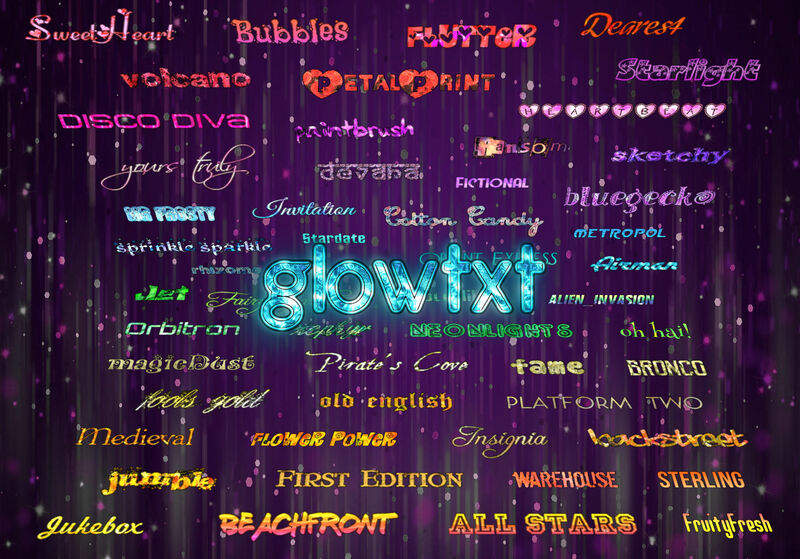 Use our glowing text anywhere you can use animated .gif graphics. This could be your personal website, blog, discussion forums, or sites/apps like Facebook, Whatsapp etc. You can also select the "None" animation option for creating text to use in logos, YouTube thumbnails, posters, leaflets, Instagram posts, projects, artwork, scrapbooking, mobile apps or games etc. See the Glowtxt FAQ pages for full help and information on how to use, as well as different hints & tips. International font support including Cyrillic, Hindi, Hebrew, Arabic, Chinese, Japanese etc.